The laid-back shape of Kolton is a contemporary look that’s full of charm. It’s the perfect statement chair for those drawn to effortless, understated style. 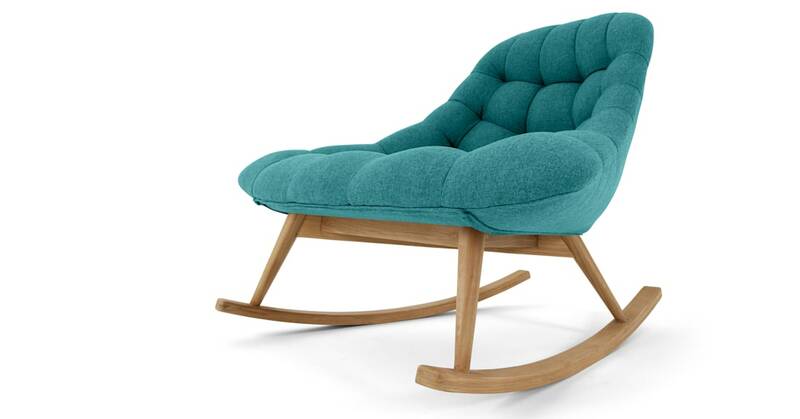 The Kolton rocking chair is a MADE first and we just know the fun and playful shape is going to be a hit with everyone. Wide and welcoming, this chair is comfortably chic. It’s quilted upholstery detail feels wooly and warm. A new favourite spot to curl up in and relax.